The electric bike meeting in France a logical progression and natural and a great interest of consumers. The majority of European countries have already adopted and the number of electric bikes sold in 2015 is close to 3 million because it will become in a few years the means of transport most used and the least costly, while participating in the well-being and health of the cyclist. The strengths and the benefits are many and the upward trend in sales of EAB is expected to continue, but we are still very far from our European friends, Belgian, German and Dutch. The French make the use of the bicycle, a sport activity and recreation, The electric bike will become in the next the privileged means of transport of the French. The problems that we encounter today in all the cities, lack of parking space, multiple axes and avenues that will be closed to traffic, congestion ; traffic difficult, not to mention the cost of maintenance. The electric bike allows you to move easily without effort and moreover to do real economy, contributing significantly to the reduction of pollution while enhancing his physical condition (According to an English study, cycling is the physical activity more effective for weight loss). The evolution of batteries and technology are factors which will enable us to make the long trip, some electric bike have a range of more than 140 km (new battery is expected in 2017 will exceed the cap of 200 km). According to the polls, The only sticking point today, French remains the price. We will present in this article, the attention points for the purchase of a VAE). For the motorcycle, it is estimated at 150€ (Fuel + Insurance + maintenance) and 150e about 3 years for the acquisition. The electric bike called a Bike or Electric assist V. A. E does not work like a motorcycle, the electric bicycle does not roll alone, but assisted by human effort. This is the pedal that causes the electric motor and aid to more than 80% the user in his effort. This mode of operation is imposed by the French legislation, you will find in other countries, some electric bicycles to attend 100% and that works like a motorcycle. As soon as the speed of 25 km/h is reached, the engine must stop. An electric bicycle is equipped with an engine of 180 to 250 Watts, and a battery 24 or 36 Volts. To assist pedalling, the electric motor switches on automatically when you pedal. He cut himself off when the pedaling stops. This allows you to arrive with little effort at a speed of 25km/h, and climb uphill very easily. To recharge the battery, it plugs into a power outlet, a classic home or office. Normally, the level of assistance the electric motor should be able to adjust, whether we choose to be strongly assisted in the move or not. The battery on it can normally be recharged with an electrical outlet, at home or at the office. - a battery which, depending on the technology used, brings an autonomy more or less important. A battery charger is provided for the power sector. The battery is the most important component of the electric bicycle, it is characterized by its technology and its power. They are no longer used on electric bicycles from the bottom of the range. They are much more heavy between 5 and 6 kg compared to 1 to 2kg for the other types. They have a shorter life between 250 and 350 cycles of load. This battery is susceptible to the memory effect, unlike other technologies, Lead, Li-Ion or Li-Po. They recycle well, but can't stand the overload and require a charger that is suitable. They are sensitive to self-discharge. The Ni-MH batteries are capable of around 500 charge cycles. These are the ones that are the most frequent, it pésent average 1.5 kg but do not have a memory effect and have a superior performance to lead acid batteries or NI-MH batteries. They recycle well. The lithium Ion batteries can withstand from 600 to 1200 charge cycles for the best. They weigh in around 500g, they do not have memory effect and have a performance equivalent to the Li-ion batteries. They recycle well. The batteries in li-Po support from 600 to 1500 charge cycles. The batteries of the bikes electrical represent 30 to 50% of the price of the bike. The technology of the battery influences a lot the performance of the EAB, but also its price. The battery gives the bike its autonomy and its power. The performance of the battery is expressed by the combination of the voltage expressed in Volt (V) and its capacity expressed in Ampere-hours (Ah). Some figures on tests done with a mountain bike brand, with a motor crank, and a battery Li-Ion 400 Watt-hours. Finally, we can simplify by saying that 100 watt-hours are used to navigate between 20 and 30 kms, depending on the context. To calculate the power of a VAE in Watts, multiply the voltage of the battery expressed in volts by the current expressed in amperes. For example, a bike 24V 10 Ah is 240W. In the case where the bike has a power greater than 250W as, for example, 36V 8Ah = 288 W, it is electronically limited and the surplus power will fall back on a greater autonomy of the battery. The assistance should be done only if the cyclist pedals, and the cutting off of the pedal. However, it is allowed to put in place a start-up assistance without the need for pedalling, but must not exceed 6 km/h. Wearing a helmet is not mandatory, and it is not necessary to have any license. If you have an insurance for civil liability private life included in your home insurance, your electric bike will be auto-insured. So be sure to take a look at your contract ! Of course, some insurers offer additional safeguards against theft. So don't hesitate to ask about it ! Be sure finally, the registration of your vehicle because, if such is not the case, your insurer can refuse to cover you in case of an accident. It is important to choose their electric bicycle as a function of use, the number of kilometer to browse by month, the type of way to go, the budget, dimensions and the room you have to stow it. The electric bikes city prefer the comfort and a seat for users who make long commutes to go to work or when walking. The folding electric bikes are lighter and easier to handle in transportation, in the trunk of a car or in the stairs to our apartments and requires little space for storing. The velos electric ATV called all-terrain or sport focus performance, driving position more dynamic , wheels suitable for all terrain, suspension more rigid. 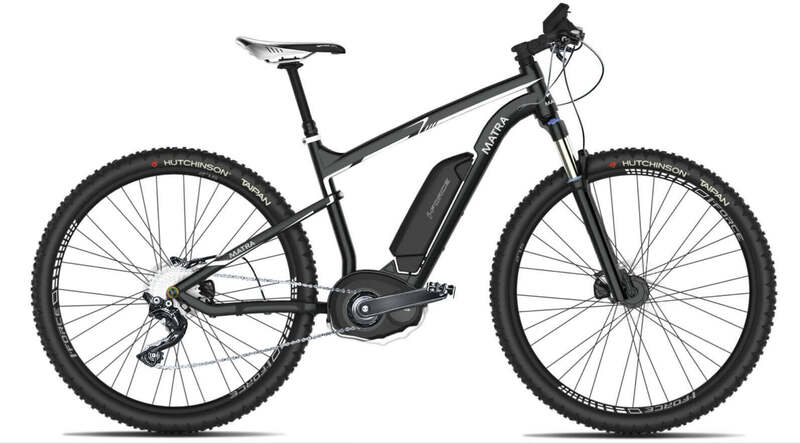 The electric bike mountain BIKING is often more expensive than the other types. After the power of choice and autonomy and weight are the determining elements in function of the number of kilometers traveled per month and terms and conditions of use (mixed urban transport + electric Bike) that the electric bike on the flat roads, routed very hilly. All of these criteria will allow if it is necessary to orient on a folding bike or a bike HYBRID or mountain BIKE and what power. Of course, the more the electric bike is powerful and efficient and the price goes up. You are a user who uses his electric bike as the WE and perform between 50 and 60 km per week and mainly on flat roads. Dutch brand that manufactures bikes of great quality, it has a front wheel motor and muffler with a smart battery of tye SMART BMS - 36 V 13Ah (468 AH) and a battery life of 100 to 140km, depending on the type of trip. 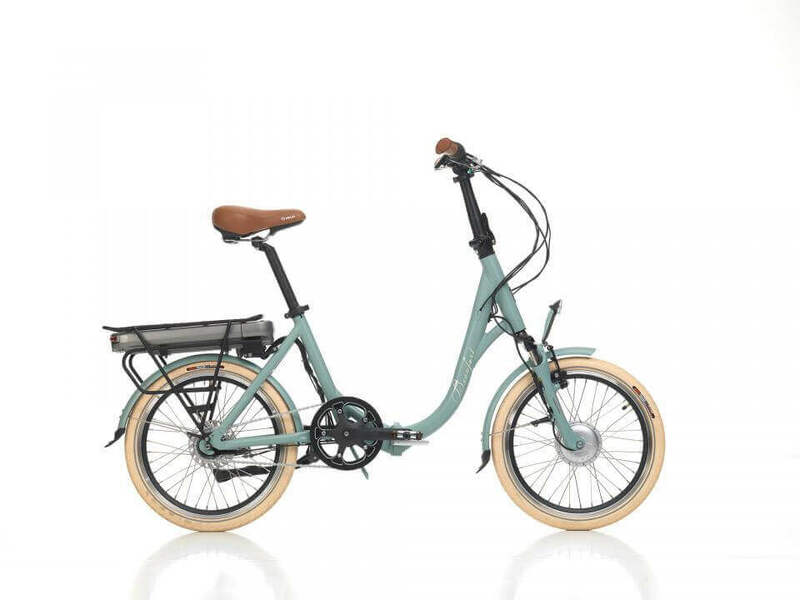 In addition to the bike beaufort SOHO, this model also has a much more powerful battery with a capacity of 14.2 Ah to power its brushless motor of 250W. You are a user who wishes to use their electric bicycle as a means of transport almost every day and be able to carry in her place of work or in its output in the evening at the restaurant and to=see the store easily. You want to use your electric bike to have sensations of escape and you like adventure on twisty roads or in the forest, you need the electric bike and all-terrain. They are several hundred brands of electric bikes, and it is not easy for a buyer to find, we will give you some guidelines on how to will allow you to see a little more clear. China has more than 400 factories of electric bicycles and caters more than 85% of the global market bike electric. For the past ten years, several manufacturer European assembling the electric bicycles by selecting the component a by a and often, integrating their technology and their know-how on their experience of the classic bike.. This is the case for the vast majority of the brands that you know. These bikes brands Europeans are in general more expensive because they are made up often of the best technology and it is positioned on the top of the range. 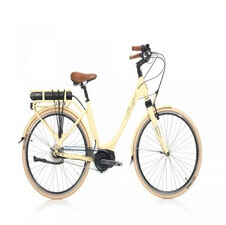 Attention to the electric bike first price, the average price of an electric bike is between 1300 and 1500€, below your electric bicycle will last for more than 6 months. We believe that the sale of electric bicycles will become more common as it is already the case in other European countries, namely, that the sales on the internet will more and more develop. In effect, the shops, however, remain limited in the choices of models and brands offered, on the other hand, they will often encourage you to take a model even if the latter is exceeded a point-of-view technology. We speak, of course, electric bikes brand, and greater than 1200 €, The sales on the internet offers benefits, such as price, the ability to have access to the latest models, a greater diversity of brands and power. You're going to tell me and the SAV. The internet sites that respect have such as the shops at their repair center, which is often more efficient because technicians are trained to manufacturers and in addition they are more spare parts in stock. The battery are 2 years warranty, the component such as the support, the front derailleur, suspensions, ... are 2 years warranty, the bike frame is guaranteed 5 years. Manufacturers distinguish between the guarantee on the part of the cycle (the bike itself) of the engine and the battery. The warranty periods range from 1 to 5 years generally on the part of the cycle and from 1 to 3 years for the motor and the battery. Some manufacturers give a number of load cycles is guaranteed for the battery. IMPORTANT : you must recharge your battery every month even if you do not use your electric bike. This article aims to inform you about the weight of electric bikes. The electric bikes are much heavier than bicycle classic, and this for several reasons. Equipment such as the support, the crank. The battery, which weighs often the models between 1.5 and 2.5 kg. Has less to pay the electric bike very expensive such as carbon or aluminium lightweight. The role of the assistance is to ease pedaling so as to make it a very easy. The weight on an electric bike is not a handicap it is necessary to take into account, this is not the weight of the bike, but the set of parameters (battery, assistance, engine).